When Belgium decided in 2003 that it wanted to change direction towards a clean energy future and phase out its nuclear fleet after 40 years of operation, it probably had not expected the mess it is currently facing. Or maybe it did. Politics in the kingdom can be messy. Belgium followed France in building nuclear capacity when it noticed its coal mines could not be operated economically in the late 1960s. The oil crisis in the early 1970 further paved the way for a nuclear option. Seven reactors were built on two sites. Four of them in Doel, on the doorstep of the port town of Antwerp. The other three in Tihange on the Meuse river bank between Namur and Liège. 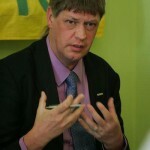 But when the date of the first shut-downs was nearing, Belgium’s nuclear operators Electrabel / ENGIE and EdF together with their political fan-club indicated the government that switching off the oldest three reactors, Tihange 1, and Doel 1 and 2 in one year might lead to shortages on extreme winter days. Despite the existence of alternatives strategies, the Belgian government decided in 2013 to give Tihange 1 a life-time extension of another 10 years, while confirming the limited lifetime of 40 years for the others. In the summer of 2012, two of the “newer” reactors, Tihange 2 and Doel 3, were found to have thousands of cracks in the form of hydrogen flakes in their reactor vessel. There was no documentation to explain this phenomenon and several tests remain inconclusive about the question whether these cracks have been there from the start or could have grown over time. As a result, both reactors are off-line and kept off-line until further investigations give more clarity. Doel 1 and 2 were slated for closure in February 2015 and December 2015 respectively and Engie/Electrabel and the new pro-nuclear Belgian energy Minister Marie-Christine Marghem saw their chances. They saw non-availability of Tihange 2 and Doel 3 as a good excuse to grant also Doel 1 and 2 an extra life of 10 more years. Official reason was again a potential shortage in unprecedented cold periods in the coming winter. For Tihange 1, a secret agreement was made in which Engie/Electrabel and EdF will have to give the state 70% of their windfall profits from this move. In return, the state guarantees that whatever happens politically, Engie/Electrabel and EdF will be able to run those reactors up to the final date in October 2025. If not, the state will pay them all lost profits. Of course, technical malperformance or radioactive risks can lead to a shutdown without payments. But whenever there is an accident elsewhere in the world and the Belgian government would like to follow Germany’s wise lead and shut down all reactors older than 32 years, this agreement could become very costly indeed. This political guarantee is the same trick that EdF also smuggled into its agreement with the British government for the construction of the Hinkley Point C power station. The people carry the financial risks for politicians that make choices involving nuclear risks. The Belgian government declared the whole agreement as confidential and thus opposed its publication. Even against the ruling of Belgium’s independent Commission on Access to Information, and against valid Belgian and European laws and the Aarhus Convention on access to environmental information, which give the public interest prevalence over limited commercial ones – apart from the fact that there is no real commercial information in this agreement anyway. A few courageous parliamentarians from the Greens then decided to quote the entire agreement in a resolution, and thus we were able to have a look at it. One important thing that the government forgot is the fact that for a life-time extension also an environmental impact assessment (EIA) needs to be made under the same Aarhus Convention and the Espoo Convention on transboundary EIAs as well as European and Belgian law. If the Belgian minister would take into account this obligation, that could mean that Tihange 1 would not be able to operate until such an EIA would have been carried out – with Belgian and transboundary public participation, that can easily take a year. In this case, according to the terms of the agreement, the Belgian state has to pay the missed profits to Engie/Electrabel and EdF. It explains why the Belgian government is fighting the legal obligation of an EIA with all means available, despite the legal opinions from the country’s highest legal institution, the Council of State. The legal advice that the Belgian government quotes comes from Engie/Electrabel and the Dutch nuclear lawyers office Stibbe. Those acknowledge the obligations, but give tips to the Belgian government to help it to escape its obligations. In the Energy Union discussions, Belgium supports the European aim of having the safest nuclear fleet in the world. Everywhere it states that nuclear safety always will be priority number one. However, the recent developments give us serious concern that financial objectives may have predominance over safety objectives. Instead of continuing to flog these old horses to work, it is essential to respect transparency laws and to focus on nuclear safety. Belgium is not a Banana Kingdom. Belgium decided for a nuclear phase-out after 40 years of operation of its reactors in 2003. In 2013 it decided to grant Tihange 1 an extra 10 years to prevent generation shortages in case of extreme cold weather periods in the winters of 2015 / 2017. The Belgian government made a secret agreement with operators Engie/Electrabel and EdF to cover the 10 years life-time extension. In this agreement, the nuclear operators receive a quasi profit guarantee, as well as the assurance that the life-time extension decision will not be reversed by another government. In the summer of 2012, Electrabel discovered thousands of cracks in the reactor pressure vessels of the Tihange 2 and Doel 3 reactors. An initial assumption that these hydrogen flakes were caused during production and did not increase over time is still under debate. Currently the reactors are off-line, waiting more investigations, and it is not sure that they will ever restart. In June 2015, with wired-up fears for generation shortages during extreme cold periods, the Belgian parliament passed a law granting also Doel 1 and 2 ten years life-time extension. Few days after that decision, the Belgian grid operator published an assessment concluding that Belgium is well incorporated in the European electricity grid structure and has spare gas capacity available so there will be no risks for black-outs even in winter. Under the Espoo Convention, the EU EIA Directive and Belgian law, an environmental impact assessment should be made for a nuclear plant life-time extension. The country’s highest legal body, the Council of State, confirmed this position in an advice to the Minister. Last April, NTW sent a letter to stress the importance of respecting international obligations to organise a full scale EIA and a cross border public participation process in advance of any final decision. The Minister did not respond to NTW’s request, but continues to refuse an EIA on the basis of legal assessments from operator Electrabel and the Dutch nuclear lawyers firm Stibbe. Ir. 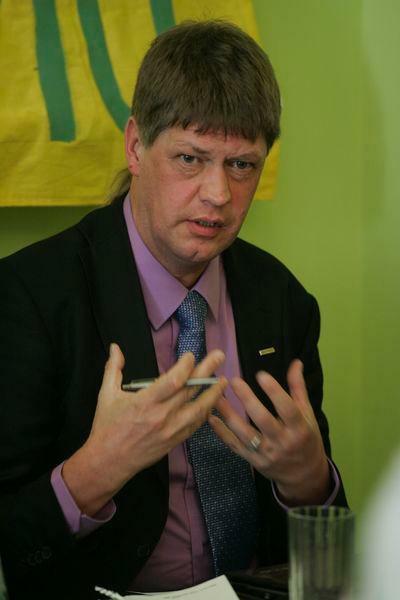 Jan Haverkamp (1959) is board member of Nuclear Transparency Watch and expert consultant on nuclear energy and energy strategy for Greenpeace Central and Eastern Europe and the World Information Service on Energy (WISE).